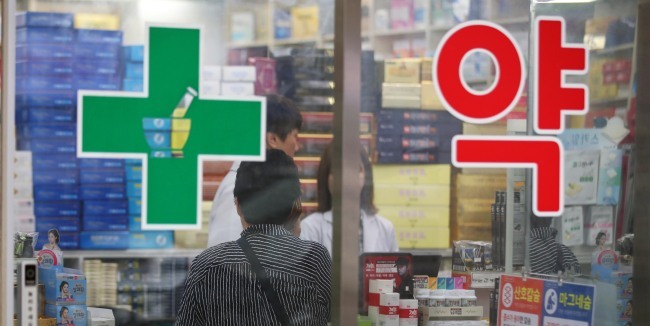 A common, off-patent drug that had often been used to treat high blood pressure but which was banned in Korea after it was revealed to contain a chemical that poses a cancer risk has become the center of heated debate among doctors and pharmacists. Valsartan is commonly used for heart and high blood pressure medications. It is manufactured in a number of different locations worldwide, and it was recently revealed that those manufactured in China have been contaminated with a potential carcinogen. Local pharmacists have been calling for a new system that would require doctors to write down the chemical substance and ingredients needed to treat the patient, rather than the names of particular drugs, when issuing prescriptions. This way, pharmacists say, patients can have better access to information and generic drugs. The Korea Medical Association, one of the largest organizations of medical doctors, on the other hand, claims that such a system will only patients in greater danger and won’t be able to prevent cases such as the one involving Valsartan. They note that Valsartan is a component, not a brand name drug. “Health authorities should make sure to prohibit all pharmacists from compounding medication without a doctor’s specific instructions,” the organization said in a statement. However, the Korean Pharmaceutical Association said the KMA’s claims are groundless. They say doctors are deliberately shifting blame to pharmacists so that they will not themselves be held responsible for having prescribed drugs containing Valsartan. Under the current system, the organization said, most pharmacists follow prescriptions, and cases of pharmacists replacing brand name drugs with generic drugs against the prescription are very rare. “It only accounts for 1 percent of all issued prescriptions,” the organization said. The Ministry of Health and Welfare said some 178,500 patients will be able to get new prescriptions or obtain new medicine to replace some 100 drugs known to contain the Chinese-made Valsartan. Those affected account for 2.9 percent of the country’s 6 million hypertension patients.